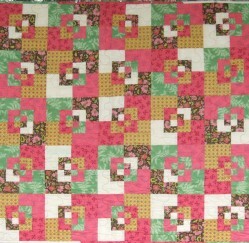 As it’s name suggests, the piecing has the look of a woven carpet in lovely pinks, creams, browns and greens. The backing is a pink and brown bud motif on a white background. 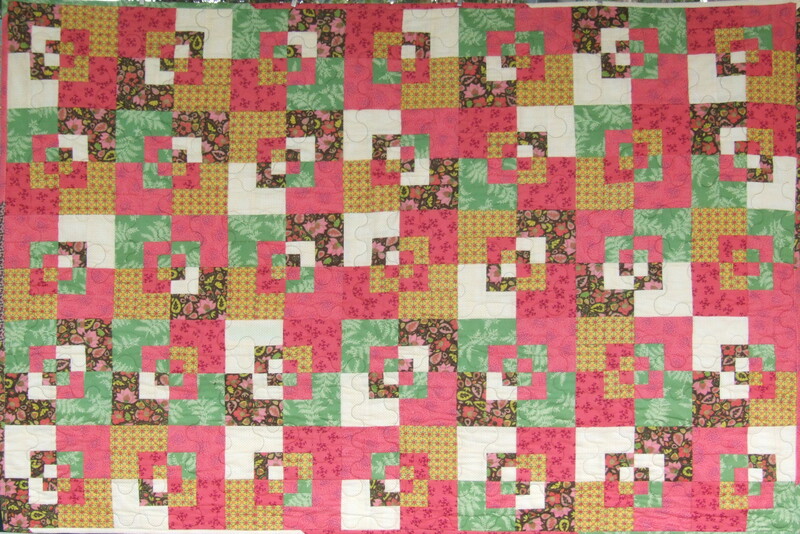 The binding is pieced with the same fabrics and the quilting stitch is a wavy Greek key design. It’s small size makes it ideal to keep handy for the cooler months when you just need something to throw over your legs of an evening. Easy care 100% cotton for all components.